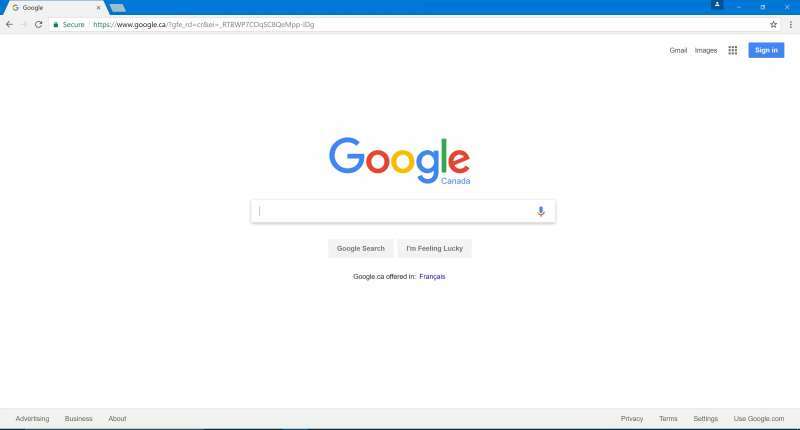 If you’ve used a PC lately, you’ve probably seen messages from both Microsoft and Google trying to coax you into using their respective web browsers. Google’s iconic “Get Chrome” banner on Google.com appears so often that many people just download Chrome simply to get rid of it. Microsoft on the other hand peppers your Windows 10 desktop with persistent notifications, constantly reminding you about the new Edge browser and how much safer, faster, or power efficient it is. Then you have Mozilla Firefox, the humble, open-source browser silently watching from the sidelines. While all three browsers have their pros and cons, one thing they all claim to do is offer the best battery life. But as the great saying goes, there can be only one. Today, we’re going to find “the one”. Microsoft’s Edge browser was conceived for Windows 1o to gain back some of the browser market share Microsoft lost to Google Chrome. Although based on Microsoft’s Trident engine, the Microsoft Edge browser is essentially built from scratch, taking nearly nothing from Internet Explorer. 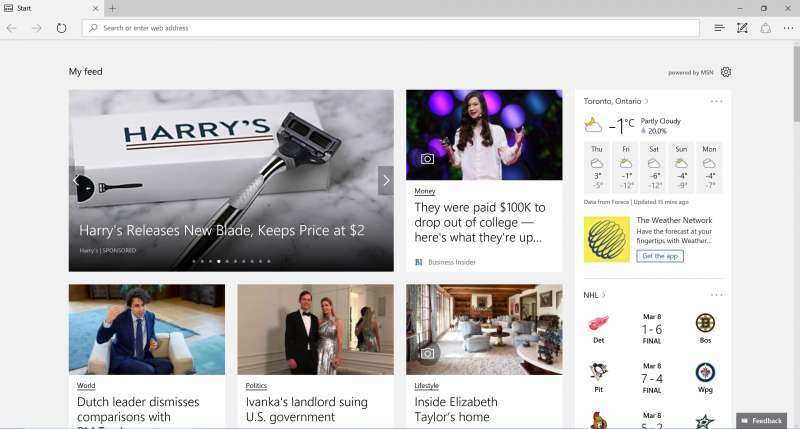 As a result, Edge revitalized Microsoft’s abomination of a browser into something that’s fast and user-friendly. A bit like how Internet Explorer was before Microsoft messed it all up. Of course, there are still bugs to iron out, and its extension library is minuscule at best, but the Edge browser is aggressively being groomed to replace Internet Explorer. Finally, network performance is also a key factor in improving battery life. Using new connection methods such as TCP Open, Tail Loss Probe, and Recent Acknowledgement, the power-hungry Wi-Fi antenna can be turned off sooner, thus saving battery in the process. Google Chrome has always had a reputation for being resource intensive, but extremely fast. The reason for Chrome’s voracious appetite for resources is due to the way each tab is managed. Instead of grouping all the tabs and plugins into a few big processes, Chrome isolates each item into its own process. This way, when one process crashes, it doesn’t take down the entire process tree with it. Isolating the processes also makes resource management easy, which is the main reason why Chrome has consistently been shown to be a speed demon. In terms of power saving functionality, Chrome has implemented a host of features over its lifespan. With Chrome version 56, a tab throttling function has been added. In a nutshell, Chrome initializes a timer pool that sets the boundaries for how much of the CPU it’s allowed to use. Every process related to Chrome is assigned a timer limit that’s subtracted from the total pool. When the pool is reduced to a negative value, newly queued tasks will be suspended until part of the pool is freed. This effectively limits the number of background tasks that can run, saving battery life in the process. Google’s approach to optimizing animation elements is different from Microsoft’s. Google recognized the inherent flaws within Flash and is now favoring HTML 5, the newest version of HTML that more efficiently handles videos and animations. Many prominent video platforms such as YouTube have already fully transitioned over to HTML 5. Mozilla Firefox is an open source web browser developed back in 2002 which aimed to challenge Microsoft Internet Explorer’s dominance in the browser space. 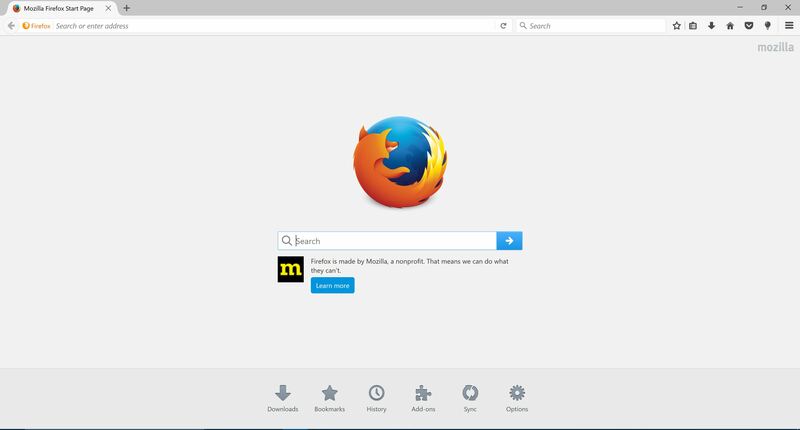 Firefox aims to create a secure, standards based browser based on an open source philosophy. In terms of power efficiency, how Firefox saves battery is a bit of a mystery. Unlike the other browsers in the category, Firefox doesn’t isolate its tasks into their own processes. This structure makes error handling a nightmare since the problem can’t be terminated on its own and can spread across the entire process tree. Firefox has a memory problem, too. Web browsing with just 13 tabs open pushed its memory usage to well beyond 1GB. With that said, it does look like Firefox performs some background memory management when the system is idle. Its memory usage dropped down to 900MB with the same set of tabs opened when the system is not in use. The biggest incentive Firefox has is that it’s a completely open sourced browser. It’s probably the only major browser on the market that doesn’t actively collect its user’s information (though Mozilla does recommend you set up a Mozilla account with them so your stuff can sync across platforms). In order to test each browser’s impact on battery life, we’ve developed a script which cycles through 13 popular websites with a blend of images and text. Of those 13 websites, three are social media sites with live updates. The script itself is fairly basic. It simply visits the sites, pauses on each site for 60 seconds and records a timestamp at every 10-second interval. At the end of each cycle, the browsers are closed and relaunched to simulate closing and opening multiple windows/tabs. Using the same method, we also performed a video streaming test. In the video streaming test, we ran a 1 hour YouTube video at full screen at 1080p. At the end of the video, the browser is then closed and relaunched. This is done until the laptop shuts off. 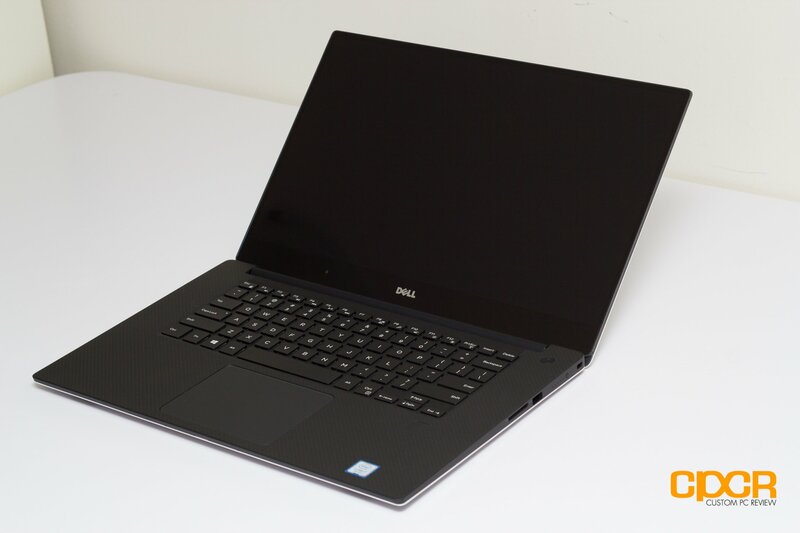 The test system is a Dell XPS 15 9560 outfitted with a 4K touch IPS panel, an Intel Core i7-7700HQ CPU, 16GB of DDR4 RAM, a Nvidia GTX 1050 GPU, and a 97Wh battery.The screen brightness is locked at 60% which is comfortable enough for both indoor and outdoor use. The three browsers we’re testing today include Chrome 56, Mozilla Firefox 51.0.1, and Microsoft Edge 38.143930.0. No add-ons extensions are installed on any browser. All testing is initiated after the cache is cleared followed by a full system shutdown and cold boot. The battery is charged to maximum capacity before each test. All non-critical programs and Bluetooth are disabled. All drivers and software are updated to their latest version and all testing is done at the same time (4 A.M. EST) on multiple weekdays to ensure consistent network congestion. The results were unexpectedly one-sided. Microsoft’s Edge browser won by a landslide, lasting 6 hours and 34 minutes compared to Chrome’s 5 hours and 18 minutes and Firefox’s 5 hours and 53 minutes. Video playback showed similar results with Edge coming out on top by an hour. Firefox came in second for web browsing, a surprise since I expected Google Chrome’s process structure to be more efficient in both performance and battery impact. 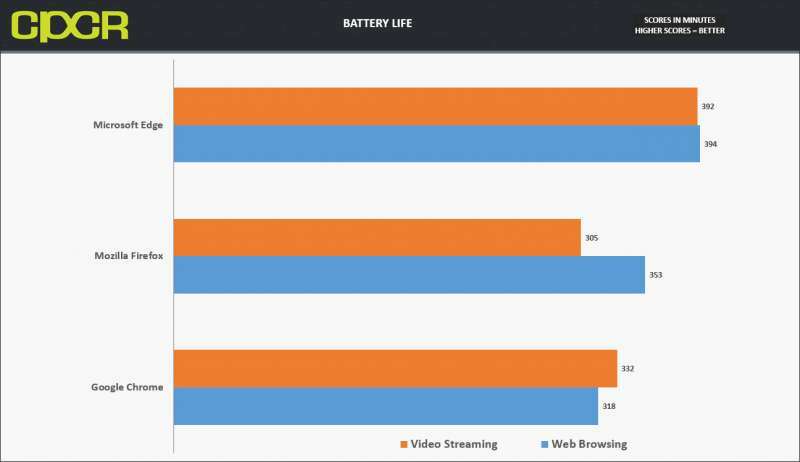 However, what’s unexpected is that Firefox severely lagged behind both Chrome and Edge in the video streaming test, lasting only 5h 5m on a full charge. I thought this was due to the inefficient Flash player, but Firefox has been using HTML 5 since version 40. It also has full support for all the latest video codecs. As such we’ll have to do a little more digging to understand why it did so poorly considering its decent power efficiency when doing standard web browsing. Chrome’s battery life has improved compared to previous versions, but it wasn’t enough to beat out either Edge or Firefox. Interestingly, its video streaming time was longer than its web browsing time. This could be attributed to Chrome’s efficient handling of YouTube’s HTML 5 videos or it may simply be more power efficient when running only a single tab. The web browser power efficiency testing was full of surprises. Not only did Microsoft Edge pull ahead of the competition, it trounced Chrome by a full hour in both the web browsing and streaming tests. Quite frankly I was shocked at the results as I’ve been a longtime user of Google Chrome. I also wasn’t expecting Firefox to come in second place in web browsing, but it’s definitely doing something right to pull it ahead of the competition. Chrome coming in last is disappointing considering how much Google has stated that it was making efforts towards battery life. I’m quite confident in saying that Microsoft’s Edge browser will actually extend your battery life. That said, my testing methodology is far from perfect. For one, my script does not emulate scrolling and doing real world testing means that I’m not able to control the type of ads being displayed. Also, the sampling of websites I chose are websites based on my personal interests. Since everyone’s browsing pattern is different, your mileage may vary. Furthermore, extensions complicate matters as they all affect resource usage in different ways. It’s likely I’ll have to revisit this test using more refined testing techniques sometime down the road as well as include some other browsers such as Safari and Opera. Hopefully by then, all browsers will see significant improvements. 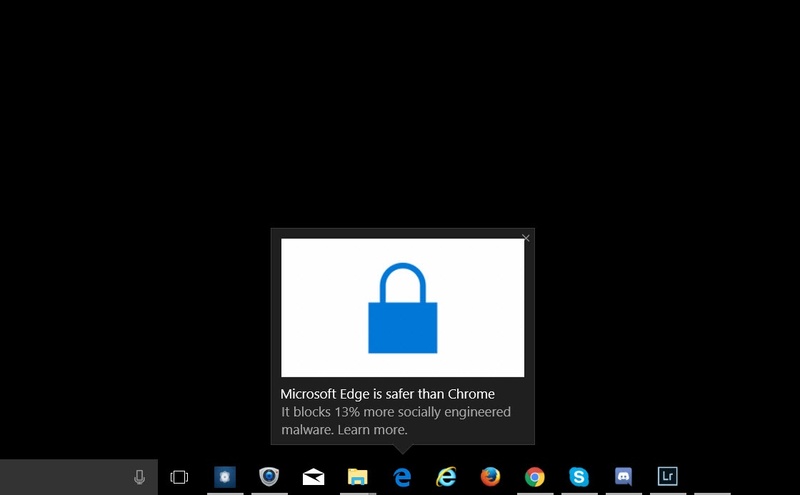 The problem is there is a significant security flaw in Edge that MS has yet to fix. This is a far bigger issue, IMO, then how long the battery last. MS has know about the problem for over 90 days now and still has not fixed! What? It’s NOT 13% safer? *shock* LOL! Ord, If you purchase a Pixel you will get patches really quick. It is now better with other Android phones but still not the level of the iPhone, IMO. But this article is really about browsers. I do not think MS sells smartphones anymore do they? Every major phone is on latest security updates. My galaxy S6 still keeps getting monthly security updates – even though it is on Marshmallow. Of course if you look at 50 bucks Android phones, those do not get updates. However, they still include partial updates (their web browser is always up to date, unlike iOS web browser, that gets updated 3-4 times a year) as well as google play services updates. Keep deluding yourself into a false sense of security. It’s sure to help you out someday. None of what I said is false. Should monthly security updates make me feel invulnerable? No. But it’s the best you can get unless you want to not use a smartphone. It’s the best you can get with Android, hence my original comment. Do you know of any other platform that gets always up-to-date web browser, core services, monthly security updates with change logs, and if all that isn’t enough it has the ability to use open source software in case you don’t trust the manufacturer? Because I don’t. Once more, the openness of the platform means that blanket statements like “android is insecure” are highly inaccurate. Android is everything from the Honda Accord CarPlay screen all the way to that latest updated HTC phone. LOL.. The “open source” parts of Android are only that way for Google to exploit free voluntary labor and work around copyright and patent laws. The parts of Android that most people think of as Android are far from open. That article states that your average Android phone is largely closed source – nobody argues there. Of course it is. My old Galaxy S6 had all the Samsung software closed source. But if I wanted, I could run an AOSP rom on a Nexus phone for example, and have everything open source. Sure, I’d have no Play Store and my experience would be affected, but it is possible. Compare that to other platforms, where that option is not present at all. You can’t complain that going AOSP is too difficult, and at the same time favor completely closed source platforms. Choose one or the other. You’re obfuscating and inventing arguments to detract from the terrible security and lack of timely patches on the Android platform. You’re going to have to try harder. My S6 received monthly security updates to the core system, uncountable updates to the most vulnerable apps (web browser, Google Play Services, the app store). My current phone, iPhone 6s, received zero updates in the last 2 months I own the device. So tell me, which one is lacking timely patches and updates? iPhone is incredible at having everyone on the same iOS version at the same time, but that only means that everyone is outdated equally. Just because there is no newer version out there does not mean your current version is secure ;) . iOS has far less vulnerabilities. Keep trying. They are both pretty awful if you ask me. Frequent updates are important! and now.. patched vulnerabilities. come on, you can do it.